Give your wrist added support With the RistRap with Thumb Loop from Allegro. 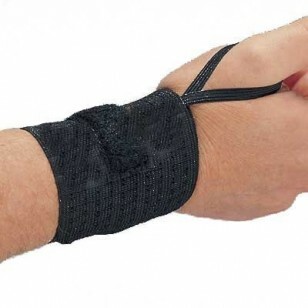 The thumb loop provides added support while lifting or doing other activities. The RistRap is sold individually in black. One size fits all.